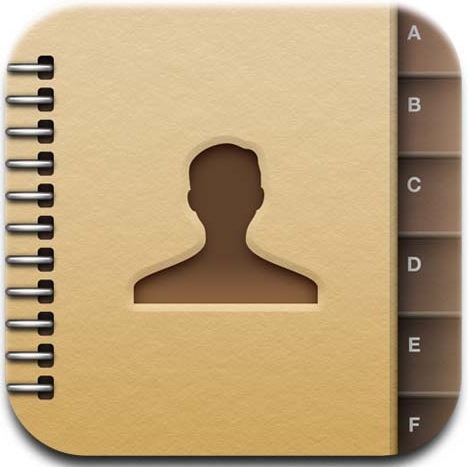 For many of us, our contacts list are the most important part of our iPhones and what we care most about backing up. It’s easy to re-download apps and adjust settings, but it can be very difficult to rebuild a large contact list of names, email addresses, and phone numbers if you lose it. For that reason you may want to be sure the address book is being backed up so that all of your contacts are preserved in case you need to restore them, here is how to do this. The final step performs a manual backup with iTunes and stores that backup on the local computer. This initiates a manual backup to iCloud which contains contacts and all other data you have configured. This is often considered preferable to using iTunes backups alone because anything stored within iCloud can be backed up from virtually anywhere that has internet access and without using a computer. Remember that if you just want to share a contact with someone else, you can send contacts from iPhone to other devices in the form of a vCard very easily. I’d rather back up only my contacts without everything else, can we do it separately? I think you can only do the contacts with iCloud. However if you want a more complete address book, you might want to check out connex.io. Disclaimer: I work for the company. Our service cleans, completes, syncs and up-dates your contacts for you automatically and across many services and devices (including social media). So you connect once, and you never have to worry about your contacts again. I used copytrans contacts to download my iPhone contacts directly to my PC and store them for backup. I have an older iPhone 3G and unfortunately could not use the iCloud as a method for backup. I only back up via iTunes and in the occasion in which I don’t want to restore to the full backup as I need to keep other data from my phone as well I just use iPhone Backup Extractor, I extract the data I need from the created backup and then import it to my phone, pretty easy and not as complicated as it might sound:). You can do the same for your contacts. backup to iCloud.. i am doing it now, but it says eta.. NINE HOURS !!! Thanks for the steps, I am new to Apple iPhone 4S and I was able to backup my contacts with your steps. Im trying to back up my contacts via itunes and icloud, but it says, that i have to get outlook. I did already the back up to Icloud then all my contacts disappear from my iphone and when i turn the contacts off again from icloud ,didn’t bring my contact back. The same thing just happened to me. where you able to sort out the problem? if so how? The article is wrong: contacts are not backed up via iCloud….but they are constantly synced in iCloud if the option is enabled. Fred, syncing to iCloud is basically the same as backing up to iCloud, meaning it stores a copy in iCloud. 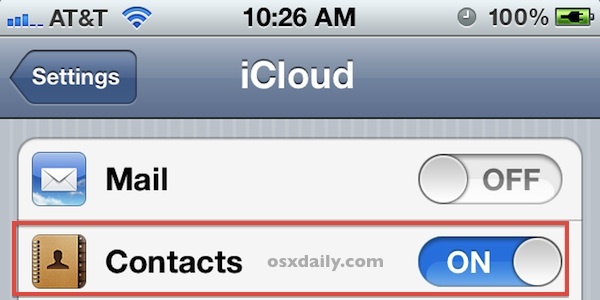 Also, if you backup your iPhone to iCloud, it backs up your contacts and address book to iCloud. So in other words, if you back up your iPhone to iCloud, your Contacts are backed up too. And you can always log into iCloud.com to export them directly from iCloud as a .CSV file for use on Android or another iPhone or Mac or Outlook PC or whatever. contact are constantly synced…..they are not backed up when you tap “back up now” and the backup does NOT contain your contacts. As a matter of fact when you set up a new iPhone, you already have your contacts on it just by logging into your iCloud account…..before restoring the backup. I need to retrieve some contacts I deleted. Is there anyway possible that I can do that without connecting my iPhone to a computer? Will clicking the sync button in my itunes delete the contacts from my phone? my search was: change my iphone6 settings so all contacts will backup. this was NOT helpful! Thank you for the iCloud back up process! I have been trying to figure out how to back up my contacts for a week! This took 2 minutes!!!! I checked my iCloud, it doesn’t have all my contacts. Can someone help. I want to save all my contacts. My sister is giving me a new I phone and I want to make sure I don’t lose my contacts when I get the new iphone.